"Test Chamber is a stylish, difficult, and not-quite-euclidean puzzle game. The world-wrapping mechanics of the world of Test Chamber create unique and devious puzzles that will challenge even the most skilled players. 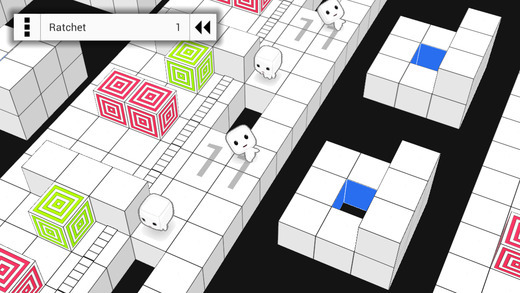 Guide our cube-headed hero through a mind-bending world, with levels designed to challenge your ideas of space." Test Chamber is a bit of an emotional roller coaster. Soothing music and sneakily bewildering puzzles! An adorable protagonist and his cryptic, not-at-all-helpful girlfriend! While the gameplay feels immediately familiar, the tiled level trick is a subtle stroke of genius that sets it apart from the majority of physics-based puzzlers. Get on this, it's a keeper. 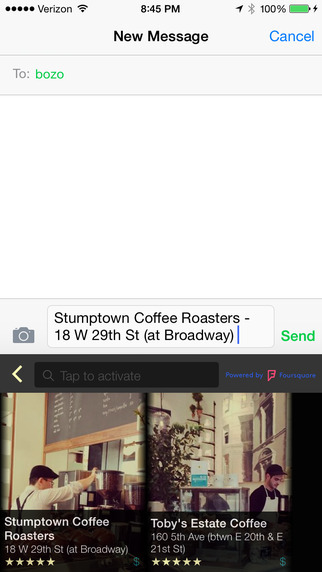 "Fanny Pack is the FASTEST and most convenient way to LOOKUP a venue across ANY of your apps. No more switching out of your messaging apps to get addresses or websites - Fanny Pack lets you do it with ONE TAP." It's great to see developers coming up with more and more clever uses for third-party keyboards. Fanny Pack puts a funky name on a pretty practical tool – quick on the fly Foursquare location info lookups. Multitasking on iOS is still mostly non-existent and maybe even ill-advised, but this is one use case that shows it can be done in an elegant and lightweight way. "Cymbal is the app that allows you to share your favorite song of the moment, the song that is soundtracking your life right now — your cymbal. Cymbal is the app that lets great music do what great music does: Connect us." I've been waiting for something like Cymbal for a while now. Calmly, patiently fantasizing about an app that would let me and my friends easily share (and listen to) our current jams-of-the-moment. Thanks to an intuitive Instagram-esque UI and seamless Spotify/Soundcloud integration, Cymbal delivers on that dream. Add me (@chrilson, duh) and let's do this, fam.